This book by Dr. Debra Dean Murphy examines several of Oliver’s poems and wide-ranging essays to help make the case for aesthetics in the cause of creation care. Murphy argues that Oliver’s work at the intersection of theology and poetry creates fertile ground for confronting the crises of ecological degradation and matters of culpability, accountability, and the flourishing of all of creation. 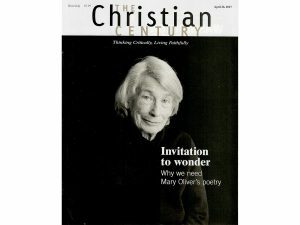 An excerpt of her work on the poetry of Mary Oliver was featured in The Christian Century, April, 2017.